The American Youth Symphony's 2017-18 concert season includes a performance celebrating Leonard Bernstein's "Centennial," a concert in first-time collaboration with Human Rights Watch, a live-to-picture performance of "E.T. The Extra-Terrestrial," and much more. LOS ANGELES, August 28, 2017	(Newswire.com) - The American Youth Symphony (AYS) has programmed diverse and dynamic repertoire for its 53rd season, featuring such highlights as Beethoven’s "Eroica,"; Ravel’s "Daphnis et Chloé," Suite No. 2 ; Shostakovich’s Symphony No. 12,; John Williams’ score for "E.T. The Extra-Terrestrial," performed live-to-picture; a celebration of the "Bernstein Centennial,"; and an original work by Music Director Carlos Izcaray championing the cause of human rights. Whether you are a music lover, a movie buff, or new to classical music, there is something for audiences across all backgrounds this AYS concert season. On Sunday, Sept. 24, 2017, in UCLA’s Royce Hall at 5 p.m., the American Youth Symphony (AYS) opens its 2017-18 concert season with a performance in honor of late AYS board member John Liebes. Featuring: Richard Strauss’ "Don Juan," Dmitri Shostakovich’s Symphony No. 12, and Max Bruch’s Violin Concerto in G minor, featuring AYS Concerto Competition winner Aubree Oliverson. Tickets are free and seating is limited. Reserve free tickets now! 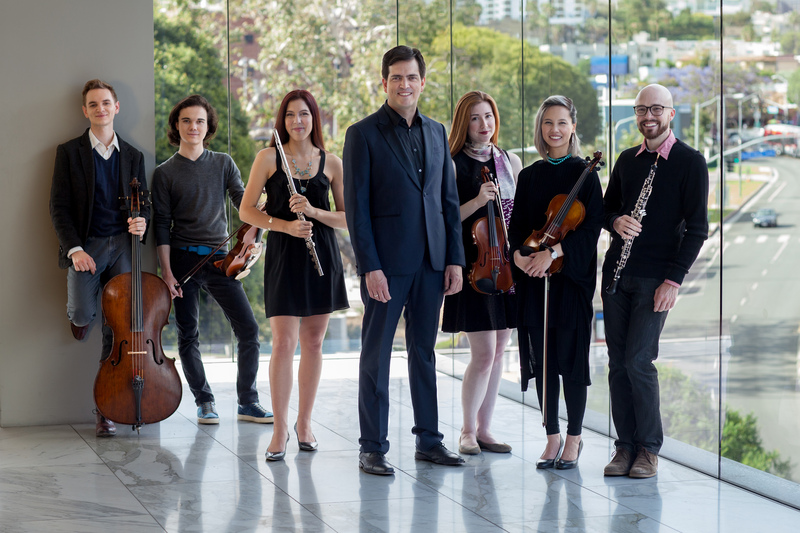 On Sunday, Oct. 22, 2017, at 6 p.m. in LACMA’s Leo S. Bing Theatre, AYS principal musicians will present a chamber music concert as part of the museum’s critically-acclaimed Sundays Live concert series. Specially programmed by AYS Concertmaster Fellow, Gallia Kastner, the concert will feature Mozart’s String Quartet in D major, K499, Jessie Montgomery’s "Strum," and Brahms’ String Quartet No. 1 in C minor, Op. 51. In line with AYS’ long-standing commitment to community engagement and accessibility, the concert will be free and open to the public, and will also be broadcast live on KUSC. Seating will be provided on a first come, first serve basis. On Sunday, Nov. 19, 2017, at 4:30 p.m. in UCLA’s Royce Hall, AYS performs live-to-picture John Williams’ score from Steven Spielberg’s E.T. 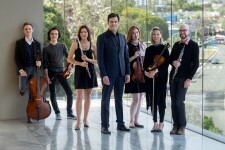 The Extra-Terrestrial, led by Music Director Carlos Izcaray. Preceding the concert at 4 p.m. will feature a Q&A session moderated by Jon Burlingame. At 7 p.m., an E.T.-themed benefit dinner follows the concert, with Maestro Izcaray and film music industry luminaries in attendance. Ticket prices range from $15 (concert and Q&A) to $350 (all-inclusive fundraising dinner). Reserve now! On Saturday, Feb. 17, 2018, at 2 p.m. in UCLA’s Royce Hall, AYS brings a musical adventure to the ears of families and children. Drawing from the repertoire featured in the Bernstein Centennial Concert later the same day, the performance is sure to entertain and inspire all who attend. Tickets are free and seating is limited. Reservations open Dec. 13, 2017. On Feb. 17, 2018, at 7 p.m., AYS hosts a Bernstein Centennial concert, also in UCLA’s Royce Hall. Led by AYS Resident Conductor Juan Felipe Molano, AYS joins “Leonard Bernstein at 100," a two-year celebration in which orchestras around the world commemorate Leonard Bernstein’s 100th birthday, in memory of his life and vast artistic contributions. In this performance, AYS will feature works composed and inspired by him, including Aaron Copland’s "Four Dance Episodes," from "Rodeo", Charles Ives’ "Three Places in New England," and Bernstein’s "Divertimento," and "Symphonic Dances," from "West Side Story." Reservations open Dec.13, 2017. On Sunday, March 25, 2018, at 7:30 p.m. in Walt Disney Concert Hall, Music Director Carlos Izcaray will lead AYS in a performance as part of the Los Angeles Philharmonic’s "Sounds About Town Series." To begin the night, AYS will perform two works by the world renowned contemporary composer John Adams: "Short Ride in a Fast Machine" and "Tromba Lontana." Next, on the program, pianist Vladimir Feltsman joins the orchestra to perform Prokofiev’s famed Piano Concerto No. 1. AYS then performs "Blue Cathedral," by the Pulitzer Prize-winning, contemporary composer Jennifer Higdon. AYS will conclude the night with Ravel’s glorious Daphnis et Chloé Suite No. 2. Tickets are $15 - $45 and seating is limited. Reservations open Dec.13, 2017. On Saturday, April 21, 2018 at 5pm in UCLA’s Royce Hall, AYS collaborates with Human Rights Watch to present a themed Gala concert: "Freedom: A Celebration of Human Rights,” featuring works by composers known for edifying the human spirit through their compositions and lives, including Silvestre Revueltas, Aaron Copland, and Beethoven. AYS is particularly proud to present the world premiere of a special commission composed by music director Carlos Izcaray, a tireless champion of human rights causes, and past victim of abuses in his native Venezuela. Thanks to the support of the National Endowment for the Arts, the Gala concert will present a multimedia experience featuring symphonic music, projected images, and testimonials from Human Rights Watch. Preceding the concert at 4:30 p.m. will be a Q&A session featuring musicologists and human rights advocates, exploring the use of music as a tool for social change. Finally, as part of the orchestra’s largest annual fundraiser, the AYS Gala dinner follows the concert at 7 p.m. Individual dinner and concert packages start at $500. Concert tickets are free and seating is limited. Reservations open Dec. 13, 2017. On Saturday, May 12, 2018, at 3 p.m. at the Ann & Jerry Moss Theater, AYS will conclude the season with a concert specially curated by the inaugural Musician Citizen Fellow. Thanks to the support of Peter Mandell and Sarah Coade Mandell as part of the Hardly Strictly Classical Concert Series, AYS is excited to feature a program promoting awareness of a local cause. Free ticket reservations for AYS members open on Dec. 13, 2017, while free general audience reservations open on April 25, 2018. The American Youth Symphony’s mission is to inspire the future of classical music. Heralded as, "the finest youth symphony on Earth," by KUSC's Jim Svejda, the organization shares exceptional, innovative concerts based on a landmark Fellowship program for musicians in high school through doctoral music programs. Moreover, these concerts are offered for free or significantly reduced admission. Competitively selected, the orchestra is comprised of 100 musicians who represent extraordinary talent from all over the world. By gifting the community with remarkable concerts at world-class venues, the American Youth Symphony remains committed to creating access and opportunity for everyone to experience the inspiration of this beautiful art form.